Avtrade is proud to announce a successful exhibition, and continued celebration of its 30th anniversary, at MRO Europe 2015 held at Excel London. Since its beginnings in 1985, Avtrade has experienced unparalleled growth and has developed into one of the world’s leading component service providers to the Aviation Industry. MRO Europe itself experienced record attendance, with key industry exhibitors and 5000+ attendees from over 80 countries. 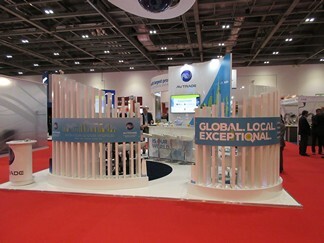 Avtrade was delighted to welcome a high volume of visitors to its stand. Several productive meetings were held with customers and suppliers, new business opportunities explored and guests met just for a friendly catch-up. Excellent feedback was received on the exhibit, hospitality and the extraordinary growth of the company seen by all who visited. Avtrade would like to thank all customers and visitors who joined us on our stand. We look forward to seeing you in Amsterdam next year.